Shirakomaike-lake is one of the most famous autumn color point in Japan. It locates at high land in Nagano prefecture. It lays at around 2100m high. High season is from the end of Sep. to the mid of October. The yellow, red and green leaves are reflected on the lake water. Shirakomaike-lake from "Takamiishi" view point. By car: 200km from Tokyo. Take Chuo high way from Tokyo to Suwa IC, and take Route299 to the west. Take Chuo line from Tokyo and get off at Chino station. 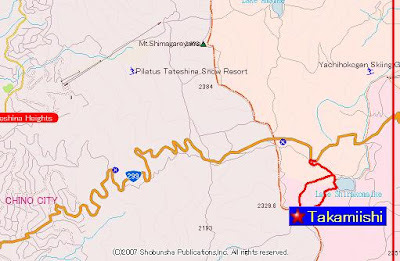 There is bus service from Chino station to Migikusa-touge where Shirakomaike is 20 min walk from there. 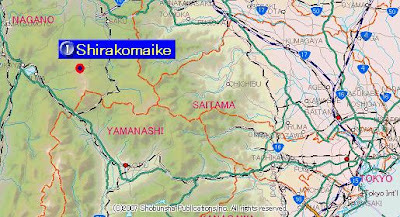 Hiking around Shirakomaike takes 1 hour, if you go to the "Takamiishi" view point, additional 1 and half hour is required. I am Hans staying in Japan. I like to introduce interesting hinking routes and travel tips in Japan.